Have you lost a tooth and wonder what the right approach to get an artificial one is? From implants to bridges, options are many, but how comfortable are you with it? You are not alone. According to the Center for Disease Control, it has been seen that 30% of adults over the age of 65 are losing their original teeth. They are in desperate need of implants that will give them back their natural functions. We are not only talking esthetics but an essential factor of carrying on eating, biting chewing in the healthiest and the most functional way. The answer to you may be All on 4 Implants. This procedure has brought about a revolution in the field of dental sciences. 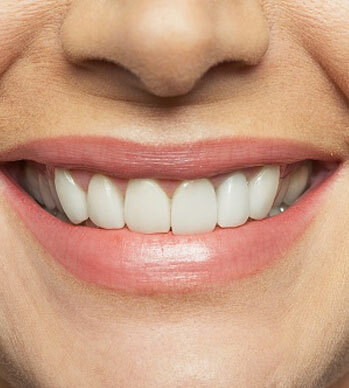 It is a comprehensive system that replaces teeth medically and in the most scientific way possible. Most importantly All on 4 Implants provides long term, immediately functional and perfect solution to tooth loss and replacement therein. Whether you have lost your teeth to periodontal disease, or an unfortunate accident, All on 4 implants helps you get back your smile in the easiest and the most convenient of procedures. What is Involved with All on 4 Implants? All on 4 implants is a procedure that allows the dentist to affix a fully customized prosthetic dental bridge to four specially placed and angulated dental implants. The patient needs to wear this bridge for 4 to 6 months. It looks as good and natural as your own teeth. Once the patient adjusts to the prosthetic teeth, a more permanent one is put in a single visit. Unlike the customary implant, the surgery & prosthetic can be completed in the same day without the healing time of grafting associated with other implant procedures. Often one loses bones and tissue due to various infections and periodontal problems. In such a situation dental implants often become a difficult proposition and the success rate is questionable as well. The All on 4 implants procedure is an improved and a proven technique that completely bypasses this through the help of unique positioning and angulation in the anterior and posterior portion of the jaw bone where the bone naturally exists and is resistant to atrophy. This provides adequate support for the prosthetic dental bridge with a functional and beautiful outcome.